Which smartphones with dual-lens cameras have made our top five? Last year saw an almighty resurge in dual-lens camera technology. Now, pretty much every major smartphone heavyweight has at least one dual-camera phone on the market. But is there actually any major differences between them? To try and answer the question, we’ve rounded up the crème de la crème of dual-lens camera smartphones. So, let’s take a closer look through the lens, shall we? iPhone X created quite the buzz when it was released last November, with the camera being one of the smartphone’s main talking points, and rightly so. Its 12MP + 12MP rear cameras take even better low-light shots, and are bolted on vertically. That means Apple wants you to hold the phone in landscape rather than portrait, and this really does work wonders. iPhone X delivers exceptional snaps – even when visibility isn’t at its best, the detail and colour are second to none. Buy iPhone X now at Carphone Warehouse. Its standout 5.7-inch Quad HD display isn’t all that makes the LG G6 so great, under the hood the camera houses two impressive 13MP sensors. At 125-degrees, the camera can even see the same width as the human eye. So, you’ll be in your element if you’ve got a passion for panoramic views. Both sensors also rely on Phase Detection Auto Focus for speedy, stable autofocus on objects near and far. LG also claims to have found an algorithm that lets you zoom between the two cameras smoothly without any lag – making sure you get the best shot in a flash. Buy the LG G6 now at Carphone Warehouse. The new Nokia’s rear camera is made up of two 13MP lenses. Its primary sensor brings the colour, while the second lens is a monochrome lens - for special black and white filters. It even has a wide-angled selfie camera for capturing social media-ready selfies. Want the best of ‘bothie’ worlds? Nokia’s ‘bothie’ Dual-Sight mode uses the front-facing lens at the same time as the rear so you can put yourself in the frame, at the same time as taking photos of your pals. What sets the Samsung Galaxy S9 and S9 Plus apart? 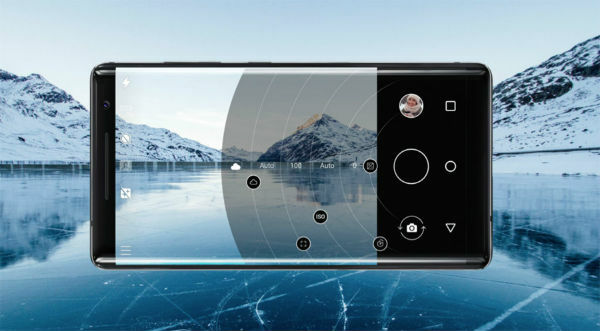 Well, the Plus version has two cameras – a 12MP main shooter and a 12MP telephono lens, which gives you a longer and magnified field of view. The result? Optically zoomed-in photos without distortion. The Smart Auto Focus feature means you spend no time at all focusing in on your subject, no matter how near or far. And if you’re feeling particularly artsy, the Live focus mode with bokeh blur comes in handy. If you’re abroad, it can even give you a live translation of signs and texts when you point the camera at them – something your old disposable could never do. 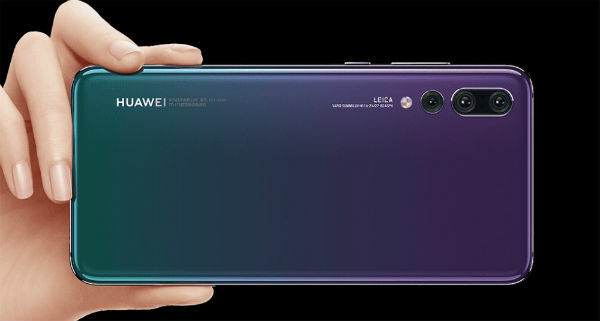 And as if all this fantastic dual-lens camera technology wasn't enough, Huawei is pushing the bounds even further with the Pro P20 - the world’s first smartphone to feature a Leica triple-lens camera. Two sensors, a 40MP module and 20MP secondary, work together to cover all bases – giving you stunning photos in low light conditions. Its artificial intelligence understands each photo’s subject and how to capture it. Plus, it even has a 5X Hybrid Zoom so you can get up-close in great detail from far away. Buy the Huawei P20 Pro now at Carphone Warehouse. Which dual-lens camera smartphone do you have your eye on? Or does your smartphone already have a dual-lens camera? Let us know what’s on your mind in the comments below. Double selfie lenses. The new smartphone trend?